“Lunar Eclipse Blood Moon over Phoenix”. This 18 photo composite shows the entire lunar eclipse from April 14&15, 2014 starting with the moon on the far left at 10:45pm, peaking with a blood moon at 12:46am in the top center, and ending at 2:45am on the right. This was photographed with my Sony a7 mirrorless digital camera, the Sony FE 35mm f2.8 lens, and a Canon 70-200mm f2.8 lens. 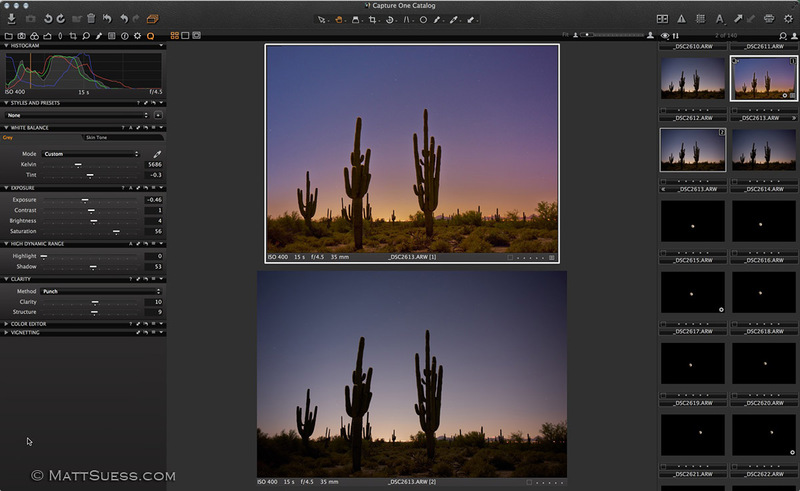 RAW files were processed in Capture One Pro, and the composite was built and further enhanced in Perfect Photo Suite 8 from onOne Software. I will write a blog post soon on how I photographed and processed this image.